The Rolling Stones have dominated Rock ’n’ Roll music since the 1960s and were at the forefront of the British Invasion of bands that conquered the U.S. in 1964. They ran neck and neck with The Beatles in the popularity stakes with the late sixties and early seventies considered by many as their Golden Age. Their live shows are legendary and The Stones musical legacy is up there with the very best. They’ve recorded some of the most phenomenal Rock ‘n’ Roll songs of all time - Satisfaction, Not Fade Away, Honky Tonk Woman, Brown Sugar, Start Me Up . . . to name just a few. 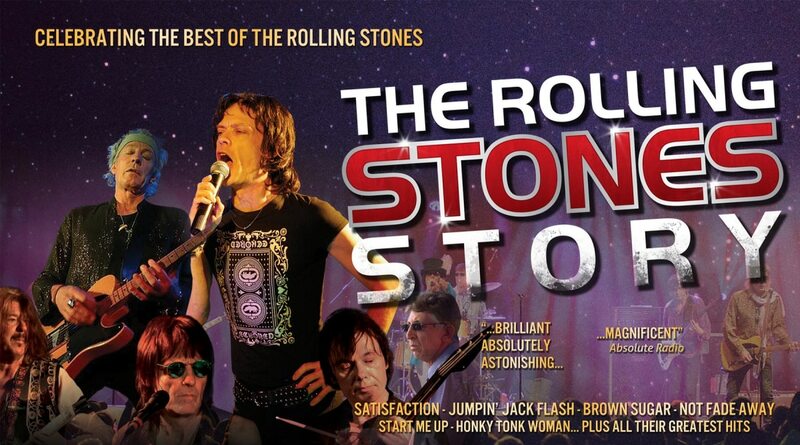 You can now relive all these classic hits in The​ ​Rolling​ ​Stones​ ​Story​, a high energy concert celebrating the music of the World’s Greatest Rock ‘n’ Roll Band. Let’s Spend The Night Together in the company of Mick and the boys and you will experience a truly authentic Rolling Stones spectacle; complete with an awesome production, the finest musicians and the world’s No. 1 Mick Jagger lookalike Paul Ashworth.